Landsea Tours & Adventures is thrilled to announce our newest product, the Hop On, Hop Off City Tour! A premium version of the traditional service, our tour celebrates Vancouver’s unique neighbourhoods with stops focused on the downtown core and Stanley Park. 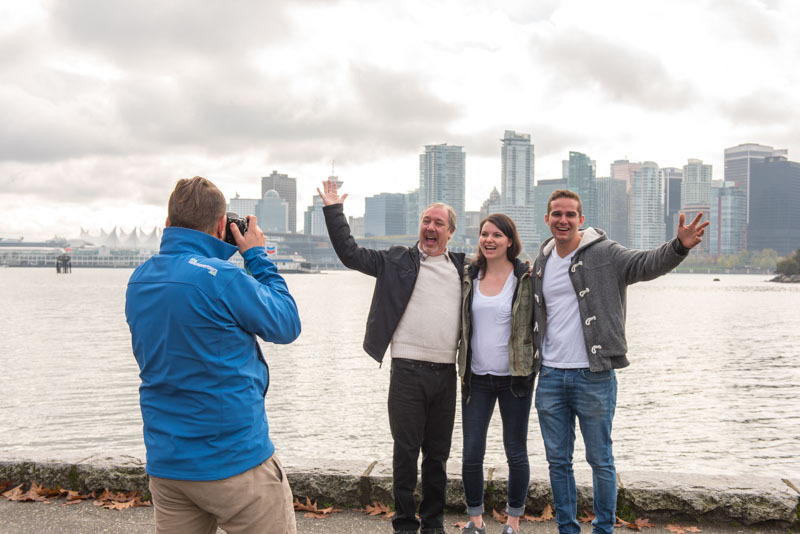 Designed to showcase the distinct culture of each area, guests can visit Vancouver’s highlights such as Gastown, Chinatown, Canada Place, The West End, Yaletown, and Davie Street. Revel in the natural beauty as you wind your way along the Sea to Sky Highway to Whistler with a stop at Shannon Falls to feel the mist from the roaring water. Views of the surrounding snowcapped mountain peaks and Howe Sound’s coastal fjord are brilliant. Explore the many shops and restaurants of Whistler Village, and experience one of the many activities and attractions including the Aboriginal Cultural Museum where you can learn about Canada’s First Nation’s People. After a full day in the mountains, sit back and relax on your return journey to Vancouver. Discover Vancouver’s most popular sites on this fully narrated city excursion. Stop to explore the totem pole display and Prospect Point in Stanley Park, the art community on Granville Island, and ascend the Vancouver Lookout tower to the viewing deck for a bird’s-eye view of the city. Additional highlights include historic Gastown, Chinatown, Vancouver Harbour, and the sandy beaches of English Bay. The best way to explore both downtown Vancouver and its neighbouring North Shore all in one day. Explore the most popular sites including the Vancouver Lookout, Stanley Park and Granville Island, combined with a visit to the North Shore to explore Capilano Suspension Bridge Park, and the Capilano Salmon Hatchery. Immerse yourself in the mountainside rainforest on Vancouver’s North Shore. Visit the Capilano Suspension Bridge Park for an exhilarating walk across the 450-foot bridge span high above the riverbed. Stroll the suspended walkways throughout the forest canopy and a path cantilevered to the granite cliff-side. Enjoy a stop at the Capilano Salmon Hatchery to learn about the area and the lifecycle of salmon. Step aboard the Grouse Mountain Skyride that travels one aerial mile to the Peak Chalet for seasonal entertainment including such things as live performances, chairlifts, and exhibits. Cross the Lions Gate Bridge and into the temperate rainforest of Vancouver’s North Shore. Visit the Capilano Suspension Bridge Park, home to the world’s longest suspension footbridge, as well as suspended walkways throughout the forest canopy, and Cliffwalk, a path cantilevered to the granite cliff-side. Step aboard the famous Grouse Mountain Skyride that travels one aerial mile to the Peak Chalet for seasonal entertainment including such things as live performances, chairlifts, exhibits and the Wildlife Refuge, a sanctuary for two orphaned grizzly bears. Escape into Vancouver’s rugged wilderness. Visit the quaint seaside village of Horseshoe Bay, take the gondola up Mount Habrich high above the Howe Sound fjord, conquer the heart-quickening walk across the Sky Pilot Suspension Bridge, feel the mist from the breathtaking Shannon Falls, and ride a mine train into a retired copper mine tunnel. Taste the true essence of the Canadian coastal wilderness that lies beyond the city centre. Tour to Horseshoe Bay and step aboard a Zodiac for an exploration of Howe Sound, one of North America’s southernmost fjords. Take in the rugged beauty of the wild coast on this one-hour boat journey north where you will reconnect with your tour guide. Walk to the base of Shannon Falls and feel the mist from the roaring water before continuing north to the Sea to Sky Gondola for a breathtaking journey up the mountainside. At the Britannia Mine Museum, hear the stories of early mining efforts and learn about the historical lives within this community. Please call our Guest Services department at 604.255.7272 to book this tour. Begin your day with a hotel pickup from your Landsea tour guide and make your way northbound towards the scenic Sea to Sky Highway. Listen as your guide brings your mini-coach tour to life with history, current events, and anecdotes. Soak in views of 7,000-foot mountains, the third highest waterfall in BC and the second largest granite monolith in the world to start off this amazing day of discovery. Once in Whistler, explore the many shops and restaurants of Whistler Village, and experience one of the many activities and attractions including the Aboriginal Cultural Museum where you can learn about Canada’s First Nation’s People. For your return trip back to Vancouver, soar high above the Gulf Islands, coastal mountains and shoreline aboard your 45-minute seaplane flight from Whistler’s Green Lake to Vancouver’s Coal Harbour to end this amazing day of adventure. 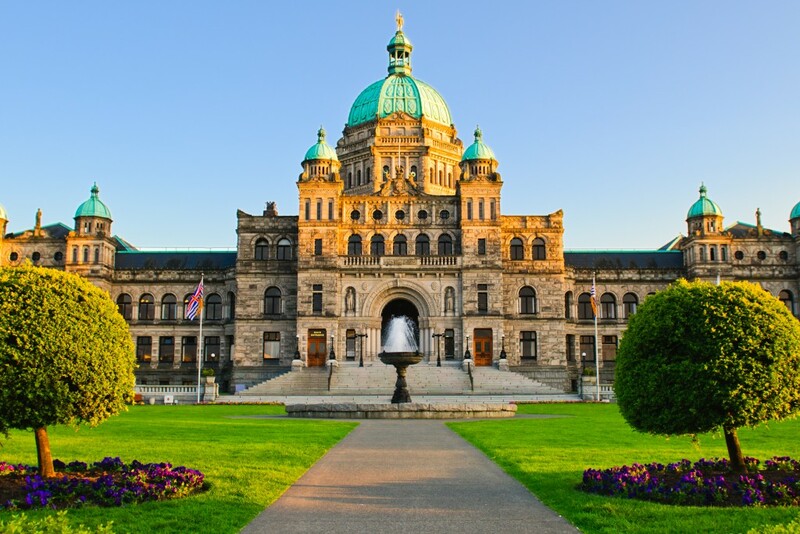 Fall in love with British Columbia’s capital city, Victoria. Located on Vancouver Island, this full-day, narrated tour allows you to enjoy both the journey and the destination. Begin and end your day with a cruise between the mainland and Vancouver Island, past the scattering of picturesque Gulf Islands and on to Victoria. Rich with art, history, and architecture there is plenty to see and do in Victoria. Its mild climate, where flowers are in bloom year round, helped to earn its moniker “The Garden City”. Visit the world-renowned Butchart Gardens and discover its numerous statues, fountains and themed garden displays. Conclude your day of exploration with a return ferry sailing to Vancouver. Board the newly commissioned “Salish Sea Dream” in downtown Vancouver for a 4-hour whale-watching excursion to Victoria in search of local marine wildlife. Dock in downtown Victoria and enjoy free time to explore the many attractions, architecture, shops and restaurants before meeting your guide for a tour to Butchart Gardens, a once abandoned limestone quarry that has been transformed into a flower enthusiasts’ dream. Return to Vancouver by mini-coach and aboard a ferry for a voyage through the Gulf Islands and Active Pass to end your day of discovery. Soak in the stunning aerial views aboard your 35-minute seaplane flight from Vancouver’s Coal Harbour to Victoria’s Inner Harbour to begin this amazing day of adventure. Enjoy free time in downtown Victoria to explore the many attractions, shops and cafes before joining your guide for your tour to Butchart Gardens, one of the world’s most famous family estate gardens. The scenic return to your Vancouver accommodation is by mini-coach and includes a ferry sailing through a scattering of islands, a beautiful way to end your day. Please call our Guest Services department at 604.255.7272 to book this tour. Experience BC’s beautiful coast in a whole new way! This circle tour includes Vancouver, Whistler and Victoria and affords the flexibility to stay in each destination as long as you wish. The Coastal Discovery Tour encompasses three scenic tours from one destination to the next. Between Vancouver and Whistler, enjoy a fully narrated mini-coach tour with photo stops and entry to the Aboriginal Cultural Museum. From Whistler to Victoria, delight in the stunning aerial views during your seaplane flight. Your last tour is between Victoria and Vancouver on board a mini-coach, featuring a visit to Butchart Gardens and sailing back to Vancouver.